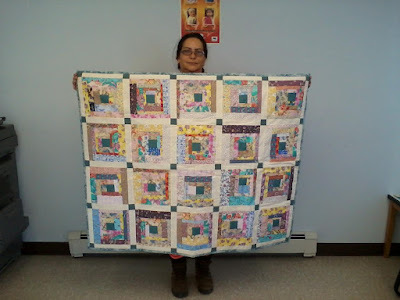 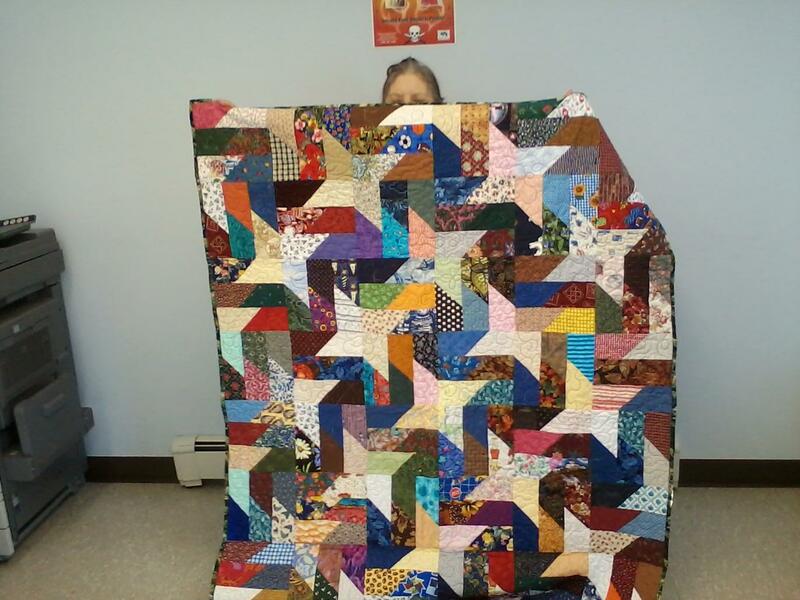 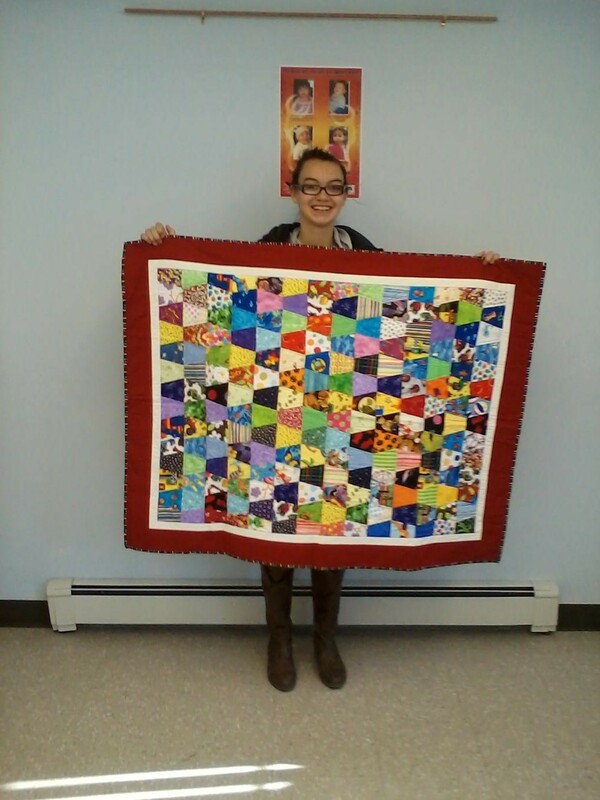 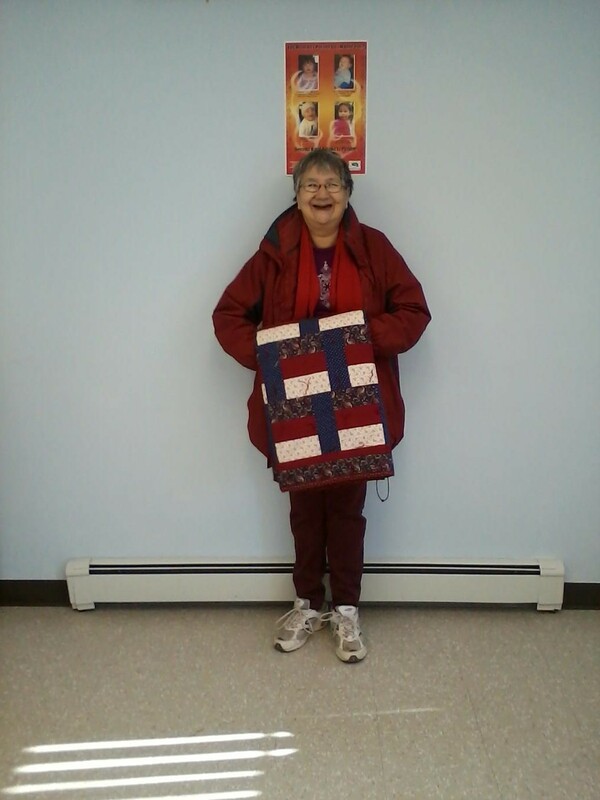 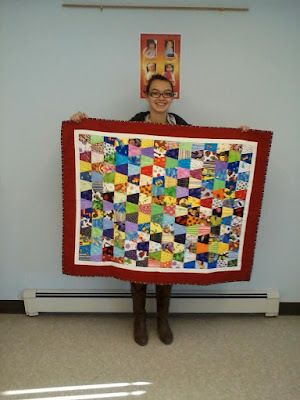 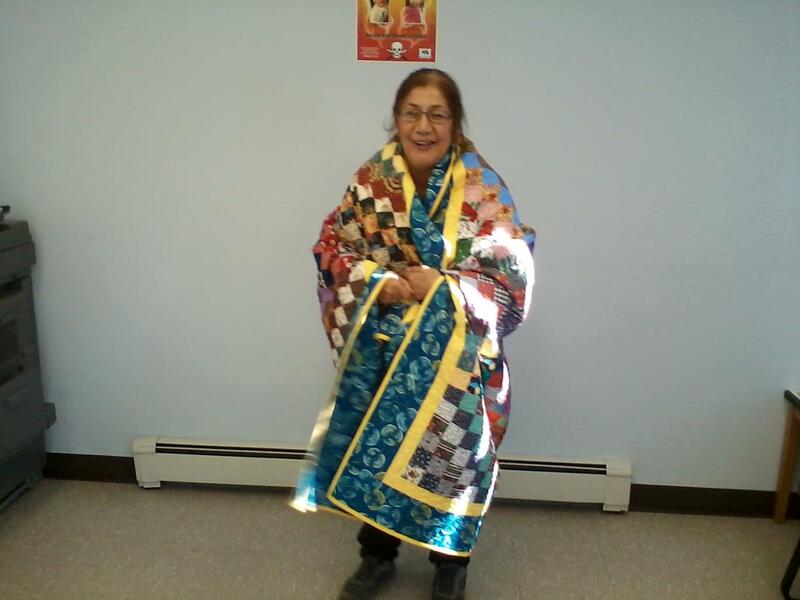 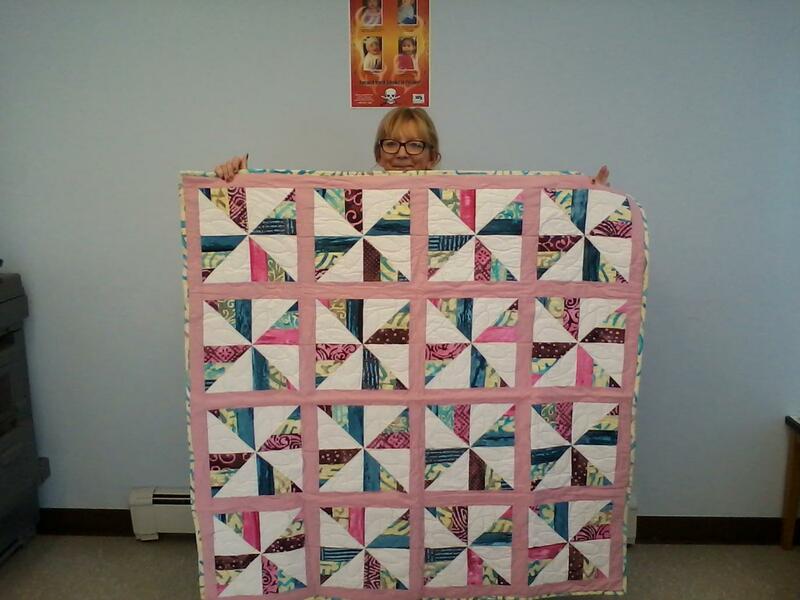 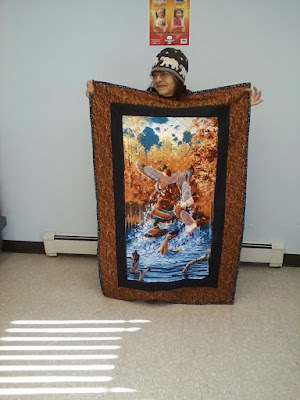 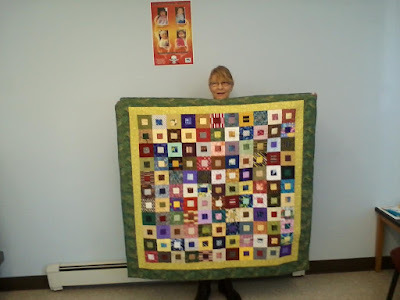 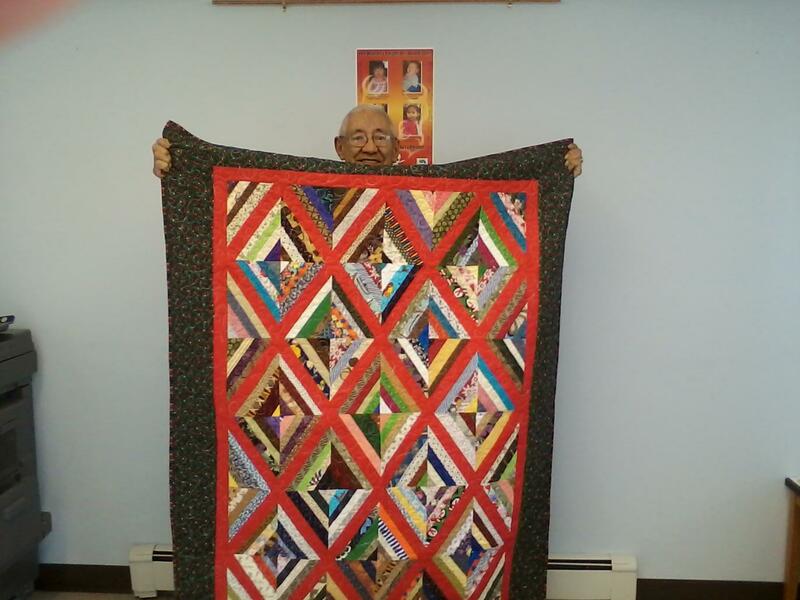 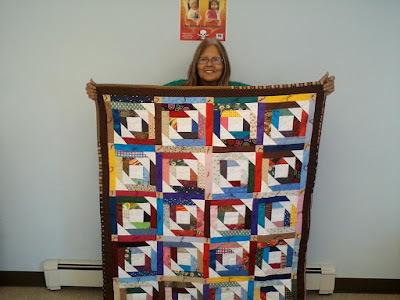 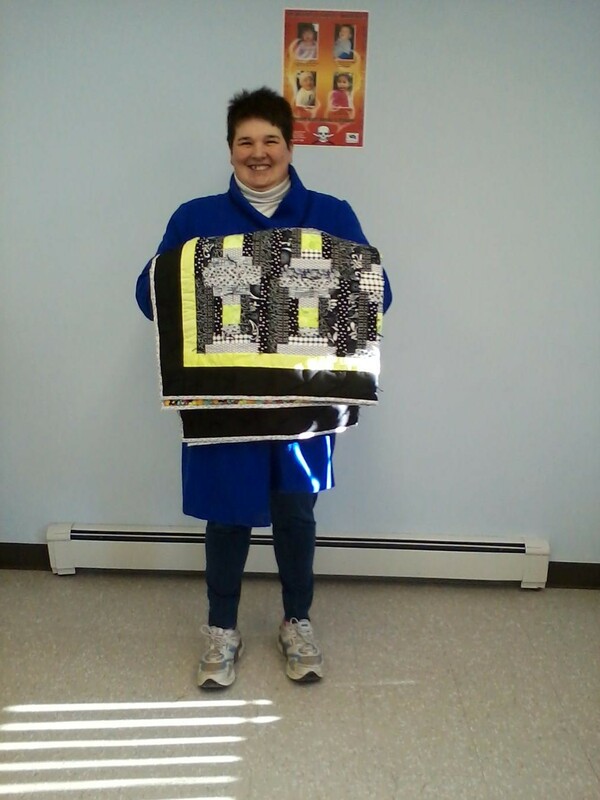 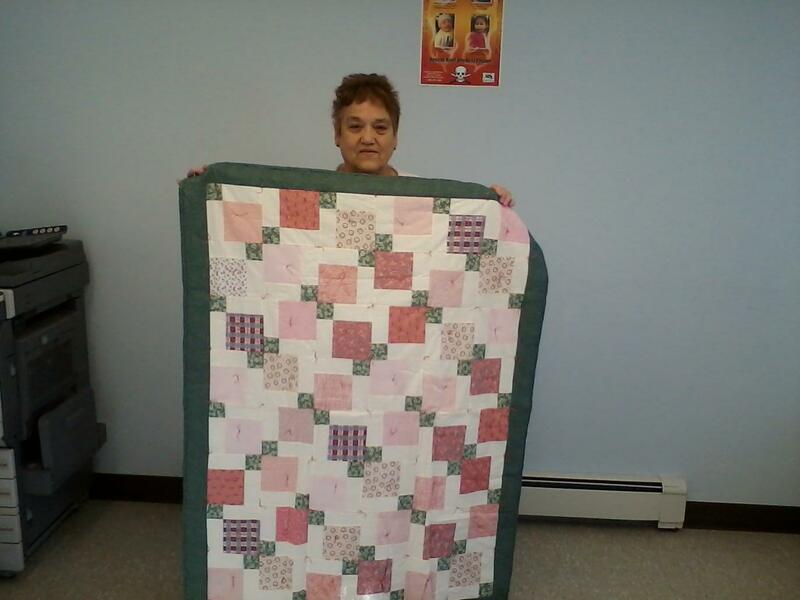 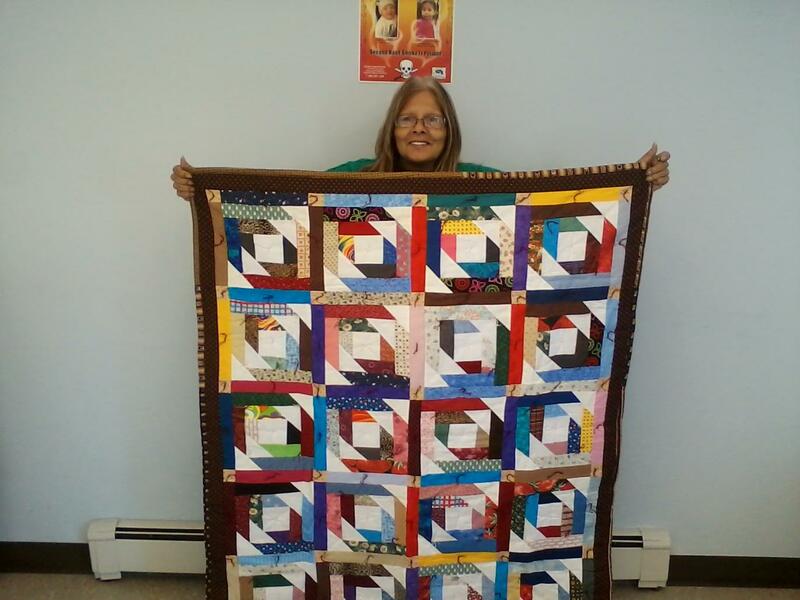 Ms. Sock, the Community Assistance Service Coordinator of the Aroostook Band of Micmacs recently shared photos with Laura Freeman of a luncheon event that distributed 15 quilts to 14 tribe elders and one youth in attendance. Imagine my delight when viewing these photos and saw my own quilt shown above! 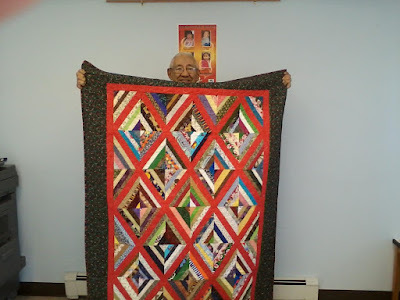 They wanted to convey to all that donated these beautiful and comforting quilts their gratitude for their kindness and the talented needlework in each quilt. 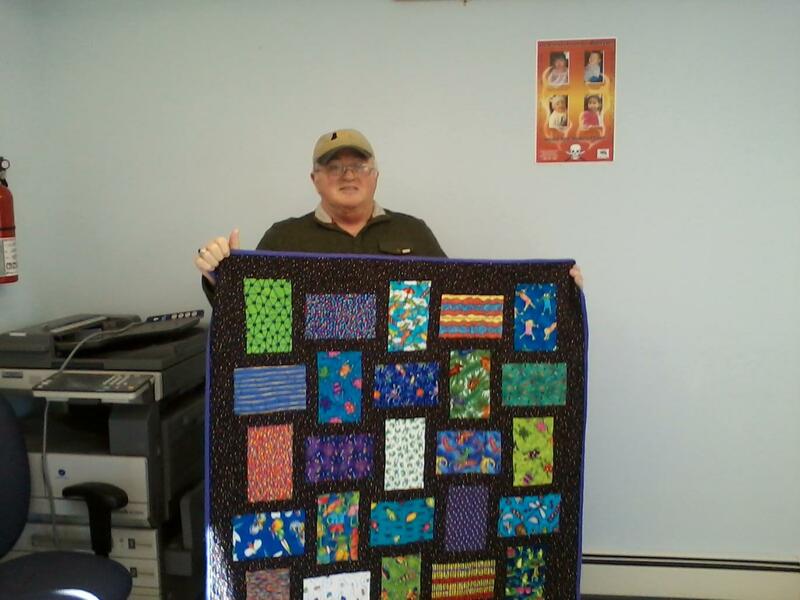 All of you who donated to this cause DID make a big difference in their lives that shows in each and every face. You can join this cause by donating in 2017. 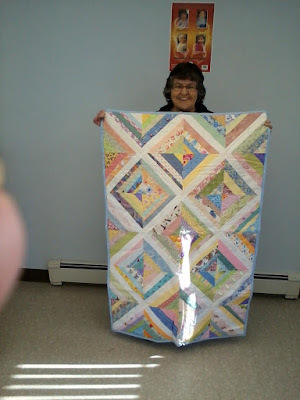 More details of this event will be posted on the blog and also in the Patchwork Press.